Well our Yosemite revival didn’t last long. Halfway to San Francisco, stranded on the side of the highway, I considered tying our master sheet to the broom handle and waving it from the roof of the fifth-wheel. Two hours ago I resolved not to surrender. What happened? 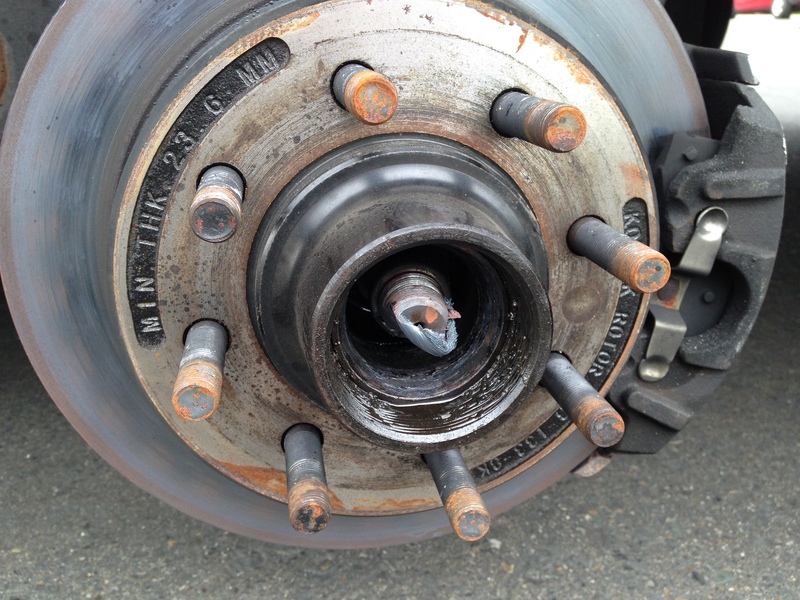 We were merging back into highway traffic from a fuel stop when the center of the fifth-wheel’s three rear axles gave way partially releasing its tire. Smoke streamed from the back of the rig. Before I could accelerate my vehicle to alert John to the problem, another driver honked and John quickly made his way to the shoulder realizing something was wrong. 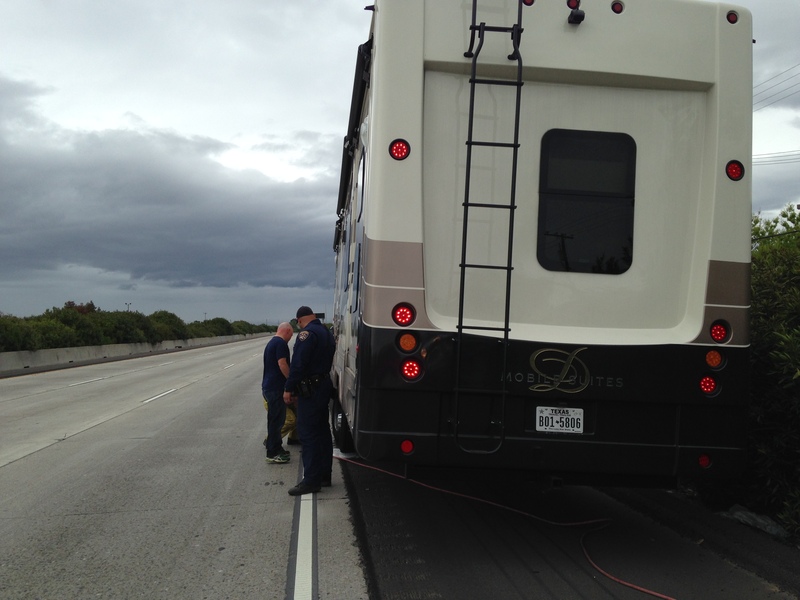 As vehicles sped by us going seventy miles an hour, I dialed our RV repair service number. The sweet woman dispatched Highway Patrol as well as a tire repairman. 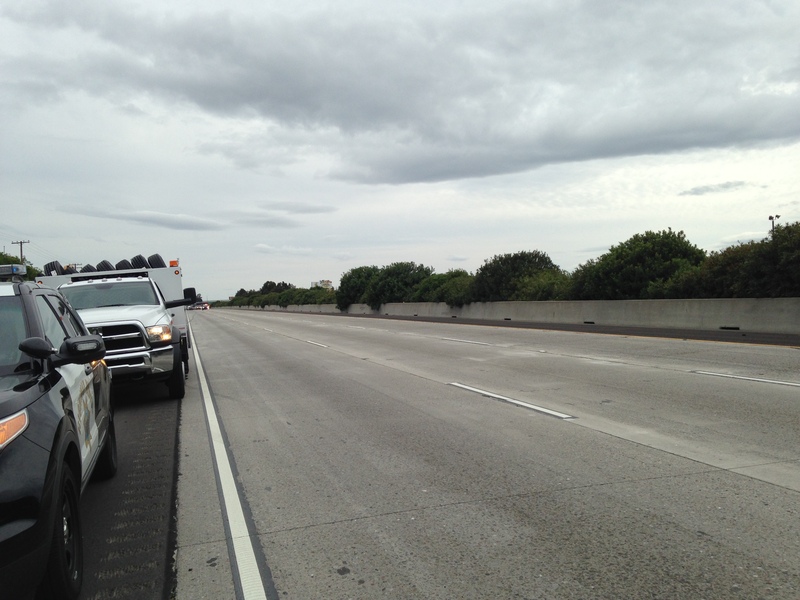 The damage was on the driver’s side and the narrow shoulder barely allowed us to clear our vehicles from traffic much less make repairs on our own. Within the hour the service repairman removed the tire and delivered the gut shot: broken axle. Air expelled from our lungs like a burst balloon. We didn’t really know what needed to be done, but we knew one thing: repairs don’t happen on Saturdays. The tire guy did direct us to an RV shop just a few miles down the road that was open on weekends. 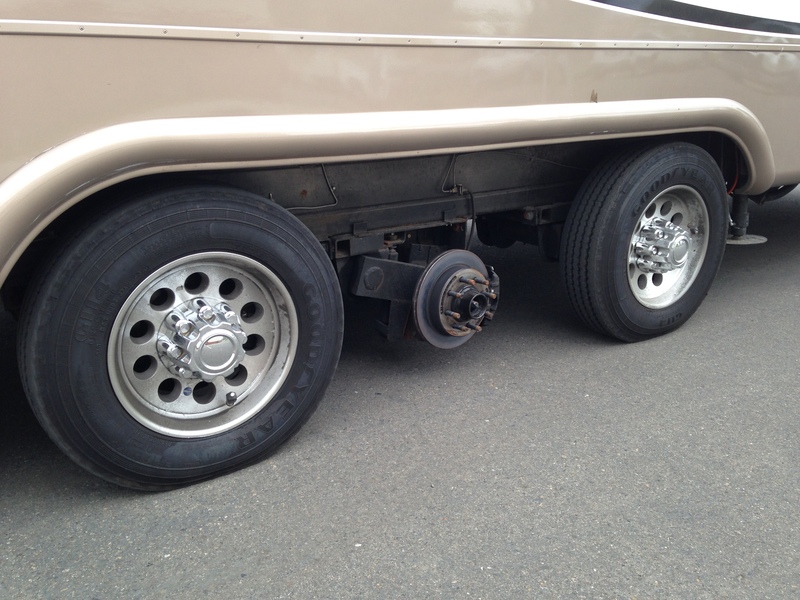 The good news: we were able to drive the rig, very slowly, to the RV repair shop. The bad news: nothing could be done until Monday when our manufacturer opened in Indiana. We drove very slowly a few more miles down the road to a surprisingly nice RV/Golf resort where we holed up for more than a week awaiting parts shipped from Indiana. On the bright side, it rained for four straight days and the tiny town of Manteca, CA, offered marginally more to do than Oakhurst, CA and Yosemite (our previous stop). In order to maintain some semblance of our travel schedule, John opted to make some long drives to Sacramento and the outlying areas to visit customers. We had no idea how long the repairs might derail us. Staying busy filled the time. More libraries. Drove into Stockton a couple of times for dinner. And lots of TV shows/movies. By day nine of this waiting game, we formulated a new plan. Check out of the RV Park in nowheresville, drive the rig slowly back to the RV repair shop, and leave it there to await parts and repair. Meanwhile, we could press on toward San Francisco in a pet-friendly hotel near Fisherman’s wharf. I could almost hear the clanging bell on the cable car. My resolve to WAIT was back. Our bags were packed with four short days’ worth of clothes. There wasn’t anything that a Boudin bread bowl full of creamy, warm Clam Chowder couldn’t fix. Well, except a broken fifth-wheel axle. Next stop: San Francisco. For real this time. This entry was posted in Fifth-Wheel, Home-School, RV, RVing, Travel and tagged California, RV, travel by Natalie Lewis. Bookmark the permalink. Ah, these events are never fun or part of the plan. We’ve come to the conclusion, it’s all part of the adventure. A bowl of clam chowder sure sounds good!